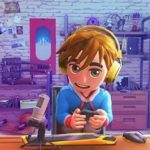 Raiser Games and U-Play have announced that following the success of Youtubers Life OMG! on PC, Xbox One and PS4, the game is getting a physical edition for the Nintendo Switch. This edition of the game is set to release on the 5th of April in Europe. The physical edition has been long-requested by fans, but that’s not all there is. 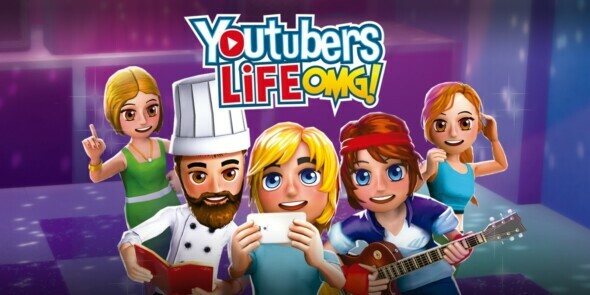 Youtubers Life OMG! is getting a major update on the Switch very soon. The update is already live on PC, Xbox One and PS4 and includes many gameplay balancing and improvements. For instance, while at your parents’ house, you will start monetizing your videos as soon as you get to 500 subscribers, But if you fail your tests at school too often, you will get kicked out. The update also adds a new collaborators system with new management elements. You will have to negotiate their contracts and make them efficient. Now you will earn Charisma Points, which you can turn in to buy cards that reflect your style and how you behave in front of the camera. If you want to know more about the update you can check it out here and you can watch the trailer below.